Osmanthus Oolong Tea is scented with the flower Osmanthus. Osmanthus (Gui Hua) is the national flower of China. It is planted in everywhere of South China. The flower season is in the middle of Autmun. At that time if you travel in South China, every breath is filled with the charming and champange like fragrance of osmanthus flower. It goes deep into the heart. Chinese like Osmathus flower very much. Not only the osmathus is planted in the yards, side of streets, gardens and mountains for appreciantion and scenery, but also the osmathus flower is widley used for foods, cooking and beverage. Osmanthus Oolong is the great creation to combine the fragracne of Osmathus flower and the taste of Chinese Oolong tea. 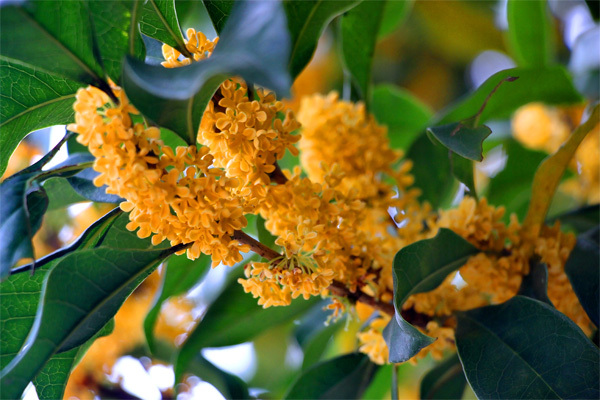 The Osmanthus flower is collected in the famous Chinese city Guilin, which means Osmanthus City in Chinese. 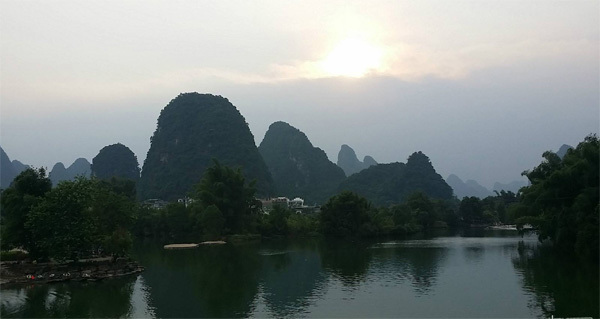 Besides the osmanthus, Guilin is also famous for its fascinating scenery. It is one of the most desired tourist city of China. In around the Mid-Autumn Festival, the Osmanthus flower opens in Guilin. It lasts for around two weeks. And the farmers collect the osmanthus flower in this time. There are a few cultivars of osmanthus. Among them the cultivar Jingui (Golden osmanthus) has the strongest fragrance and golden yellow color. The farmers most like to collect osmanthus flowers from Jingui. 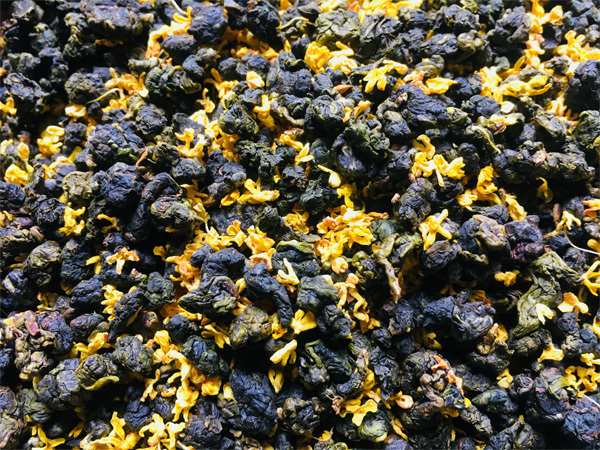 Just as the Chinese jasmine scenting, the fresh osmanthus flowerd will be blended with the oolong tea, and the tea absord the flowery fragrance give off from the osmanthus. And later the used fresh osmanthus flower will be screened out. But afterwrds the dry osmanthus flower will be added into the tea to ensure lingering fragrance and good looking of tea. The oolong tea base is made by the selected premium Jinxuan oolong tea, which is produced in Fujian. The Jinxuan oolong is semi-fermented and has jade green color. The tea body is tightly rolled and looks like a dragonfly head. The flavor of Jinxuan oolong is soft and mild, and it tastes very mellow, which is very ideal to be scented by osmanthus flower. 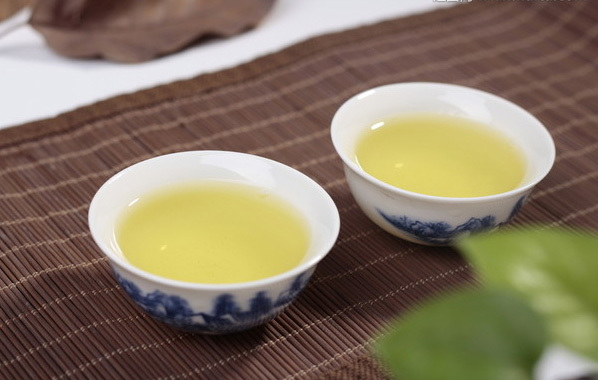 Osmanthus oolong is the Chinese tea which can make you miss the good time in China! Health benefits of oolong Osmanthus tea include reduction of chronic health conditions such as heart disease, inflammatory disorders, high blood pressure and high blood sugar. The vital antioxidants present in it promote superior bone structure, robust skin and good dental health. How Does It Taste: While brewing, you can take in the smell of refreshing Osmanthus fragrance. The aroma of Osmanthus and oolong will stay in your mouth for a long time. Step 3: Infuse – After 2-3 brews, the leaves will wake up and start yielding a dark stronger- brown beverage. Osmanthus Oolong tea and a range of other premium loose Chinese teas are available for bulk purchase at Wufeng Tea.